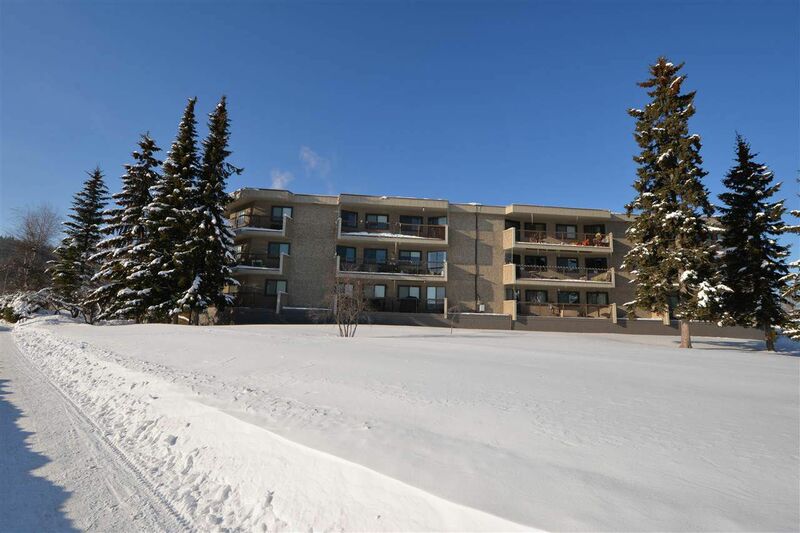 This spotless top floor unit has wonderful vistas of the city and is in one of the best complexes in Prince George. This unit boasts all new paint and flooring throughout, oversized balcony and huge storage room. The Panorama complex has the best amenities of all of the similar aged complexes including indoor swimming pool, underground parking, rentable club lounge and even a library with free books that can be exchanged. Excellent mix of retirees, young professionals and families that create a an active community. Strata fee is $350. No pets.